Gearbox in offshore wind turbines is a component with the highest failure rates during operation. Analysis of gearbox repair policy that includes economic considerations is important for the effective operation of offshore wind farms. From their initial perfect working states, gearboxes degrade with time, which leads to decreased working efficiency. Thus, offshore wind turbine gearboxes can be considered to be multi-state systems with the various levels of productivity for different working states. To efficiently compute the time-dependent distribution of this multi-state system and analyze its reliability, application of the non-homogeneous continuous-time Markov process (NHCTMP) is appropriate for this type of object. To determine the relationship between operation time and maintenance cost, many factors must be taken into account, including maintenance processes and vessel requirements. Finally, an optimal repair policy can be formulated based on this relationship. • In order to decrease the operation and maintenance cost for the offshore wind farms, the maintenance policies for wind turbines must be optimized. 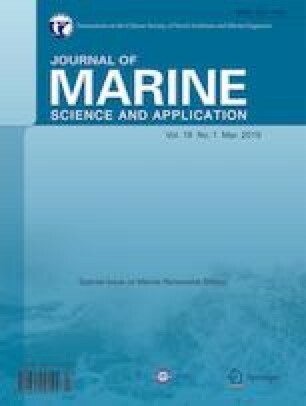 • The non-homogeneous continuous-time Markov process is applied on the reliability analysis of offshore wind turbines gearboxes. • Considering the cost of each parts of the maintenance schedule, the maintenance policy formulated will be the most economical.